Hello everyone and welcome to my first post of 2018. I honestly can't believe how quickly the last year flew by, and I hope you all had an absolutely fabulous New Year. So, to kick things off I thought I would talk about my favourite scent at the minute, J'adore fragrance by Dior. I'm obsessed with everything about this fragrance. My mum very kindly got me this for Christmas, and I absolutely love it. 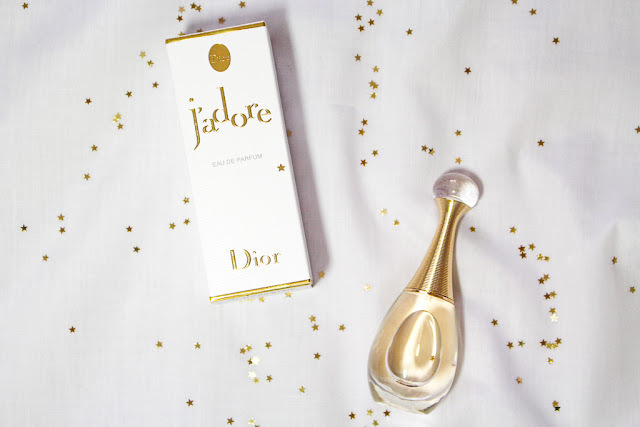 I did some ambassador work for Ghost fragrance before Christmas in Boots, so it was the perfect opportunity to smell all the amazing perfumes and see which one I loved the most, which was this one! I absolutely love the classic, unique bottle design. It looks so pretty in my room without being too over the top. I also love the packaging it comes in, so classy and beautiful. As for the scent itself, I love it so much. I got the Eau de Parfum, which is basically the more concentrate version. Eau de Toilette is basically a less concentrate version, so I prefer them for the warmer, Summer months. This smells predominantly like Jasmine and Rose for me, it also has hints of Orchid, Plum, Musk and Blackberry in it too, so it's not too floral. I love that it does have that underlying musky scent to it, it just adds to the overall fragrance and makes it smell divine! Perfume is definitely a luxury, and can be quite expensive. This bottle is the 30ml, which you can get here from Boots for £52.00. But because this is the Eau de Parfum, you don't need as much for it to smell gorgeous, so it does last a reasonable amount of time. I know perfume can be expensive, and there's so many brands out there who offer affordable, but lovely alternatives. It's important that you buy fragrances from a trustworthy site or shop, as you don't know what they put in the fake ones and they could be toxic and ruin your skin. 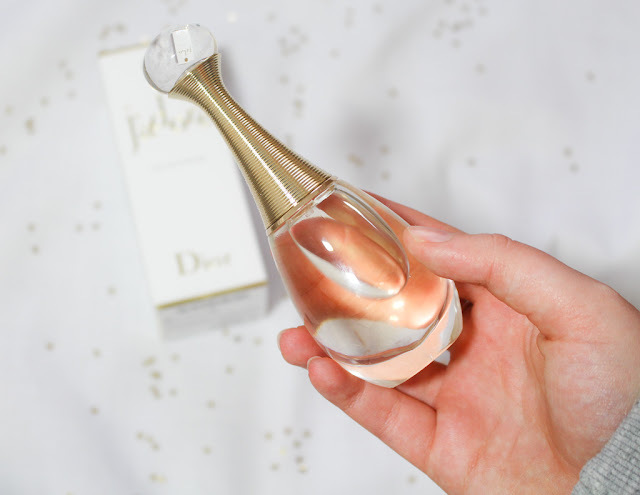 I hope you enjoyed this little post, let me know what your favourite fragrances are! And I hope you all have a wonderful week. Always good to have a 'pocket perfume' for a go to scent. I don't tend to steer away from one or two fragrances, I should probably explore a little more! Regardless of whether it is skin break out or pimples, white fixes or dark colored, wrinkles or dull skin, Kim Cattrall Skin Care there are beauty products available that have a solution for everything.